Review 1 Day Acuvue Moist I can hardly feel a lens in my eye wearing these. Extremely comfortable and better than the lenses Specsavers has prescribed for me. 100% recommended. 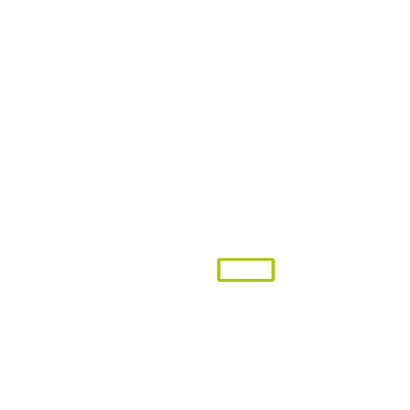 Great service overall too. Review 1 Day Acuvue Moist Great product, cheaper than going through my regular optician. And delivered with a cute little present too. Review 1 Day Acuvue Moist Really comfortable contacts - no problem wearing them all day - great value for money! Delivered within two days of placing order. Review 1 Day Acuvue Moist They are good value for money but could be more comfortable. Review 1 Day Acuvue Moist I am very delighted with these contact lenses. Great service. Review 1 Day Acuvue Moist Acuvue is an excellent product, really easy to use and I have yet to find a single damaged or unuseable lens in the hundreds I have used. I use them just for sports and often forget I am wearing them. I find the standard lenses slightly less comfortable than the Astigmatism ones I use for my right eye on first insertion but this goes away very quickly. Review 1 Day Acuvue Moist Great lenses, keep fresh all day and are very comfortable to wear. Review 1-Day Acuvue Moist I have been using these for years - they never fail! Review 1-Day Acuvue Moist Great lenses. Comfortable, Good quality and a decent price! Loved the little 'surprise' inside the delivery box! Review 1-Day Acuvue Moist In my opinion these are the best contact lenses for people like me who wear them all day every day. They are very comfortable and safe to use in this way. Review 1-Day Acuvue Moist Very comfortable lenses but a bit pricey. Review 1-Day Acuvue Moist I've regularlu used Acuvue moist 1-Day contact lens and have never had any issues with them. They're very comfortable to wear. Review 1-Day Acuvue Moist No complaints. Speedy delivery. Well done. Awaiting credit. Review 1-Day Acuvue Moist Comfortable to wear but if you're wearing them every day it can get expensive. Review 1-Day Acuvue Moist The most comfortable lenses I have ever used. Also very quick and efficient service from Vision Direct. I particularly like the text reminders. Review 1-Day Acuvue Moist Helpful Service, prompt delivery. Review 1-Day Acuvue Moist These lenses are very comfortable indeed and if I choose to I can wear them all day long, every day, without getting that "dry eye" feeling. I have been buying my lenses from Vision Direct for a decade now and have a very high degree of confidence in the service they provide. Review 1-Day Acuvue Moist Excellent product always delivered on time. Review 1-Day Acuvue Moist Easy to put in and most of the time I don't even remember that I have them on. Sometimes my eyes get really dry though but that happens to me with other contact lenses so I don't entirely blame the contact lenses. Overall, if you don't have issues with dry eyes, these ones are one of the comfiest ones I've tried. Review 1-Day Acuvue Moist A great way to buy your branded lenses. I get my eye health checked and my eyesight tested by a local optician on a regular basis and then purchase my branded lenses online. The best of both . Review 1-Day Acuvue Moist Always use these contact lenses. They are comfortable, also good value. Review 1-Day Acuvue Moist Totally reliable with very efficient delivery service. Great company to deal with. Review 1-Day Acuvue Moist Most comfortable I've ever used. Review 1-Day Acuvue Moist Excellent. Have been wearing these for years without a single episode of dry eye/discomfort, even after 19/20hrs. Review 1-Day Acuvue Moist Great product, fast delivery and overall delighted with the site! Review 1-Day Acuvue Moist I have used Acuvue Moist since they first came on the market and although I have tried other lenses, nothing suits me better for fit or comfort than Acuvue Moist..
Review 1-Day Acuvue Moist i didn't like these lenses as i found them to feel very heavy on my eyes. Review 1-Day Acuvue Moist Have been wearing these for about twenty years and have never had a problem with them. They. Suit me perfectly . Review 1-Day Acuvue Moist I find these lenses are very comfortable, even when working at a computer screen all day. Review 1-Day Acuvue Moist I found that my eyes got very dry and sore towards the end of the day with them. Review 1-Day Acuvue Moist Excellent , no issues. Would be lost without them! Review 1-Day Acuvue Moist Easy to use. Value for money. Will be using them again. Review 1-Day Acuvue Moist Best contacts lens I have found. Very comfortable to wear, fits very well. Very good price & will order again from vision direct. Review 1-Day Acuvue Moist Really happy with Vision Direct, excellent customer service. Review 1-Day Acuvue Moist Very comfortable to wear. Review 1-Day Acuvue Moist Great for short and long daily use. Review 1-Day Acuvue Moist I spend many hours daily on a computer and find these lens most suitable for the task. 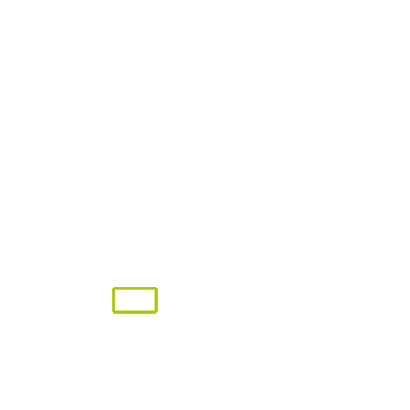 Extreme comfort and the text on screen remains sharp all day. Review 1-Day Acuvue Moist Pretty expensive compared to some of the cheaper brands but worth it. They don't dry out and are very comfortable to wear even for long periods of time. The numbers etched on them mean no more accidentally putting in the wrong way round. Review 1-Day Acuvue Moist Best contacts I've tried yet. Very suitable for dry eyes. Review 1-Day Acuvue Moist I'm not wearing my lenses everyday, but when I do they are very comfortable. I can wear them for the entire day, but not for everyday long wear. Easy order via text and super reliable delivery. Review 1-Day Acuvue Moist I have tried many different contact lenses over the years and these are the dailies I keep coming back to, they are by far the most comfortable. I work in an office environment where I am staring at a screen day & I never have issues when wearing these lenses. Review 1-Day Acuvue Moist Great product. Price and delivery time are excellent. Review 1-Day Acuvue Moist works as it says, was great, have no complaints so far. Review 1-Day Acuvue Moist I find the one day acuvue moist great my eyes never become dry which they used to with other lenses. The price of them with vision direct is alot cheaper then my own optician. Have absolutely no problems with my vision. Review 1-Day Acuvue Moist Despite trying brands advertised as being state of the art and which are newer than this one, I always seem to return to One-Day Acuvue Moist because in my opinion it is the most comfortable lens on the market. The lens branded as "Total" is I concede very good but this is my favourite. Review 1-Day Acuvue Moist A little bit fiddly to work with but once you get the hang of it they fit quite well. A little hard on the budget but that said, they are excellent if you suffer from dry eyes. Review 1-Day Acuvue Moist Good lenses - some wasted as they curl at the edges prior to putting them in which causes discomfort. Review 1-Day Acuvue Moist These are my favourite lenses, very comfortable. Review 1-Day Acuvue Moist The 1 day acuvue moist is great for someone like me who suffers from dry eyes as I can wear them all day. Review 1-Day Acuvue Moist Consistently the best lens available anywhere. Easy to handle, very comfortable and easy on the eye. Review 1-Day Acuvue Moist Excellent, fast efficient service. Very pleased. Shall be ordering again. Review 1-Day Acuvue Moist It's the only one contact lens, that I can wear. They are very comfortable. I wore them already 7 years and other companies' brands for me are not as good as Acuvue Moist. Review 1-Day Acuvue Moist Suffered from dry eye syndrome, I found these lenses very comfortable, even after working over 15 hours in front of the office pc monitor...very quick delivery (it took only a couple of days since the parcel was dispatched)...thank you! Review 1-Day Acuvue Moist very comfortable and easy to insert. Review 1-Day Acuvue Moist Great lenses, I can wear them all day, no problems. 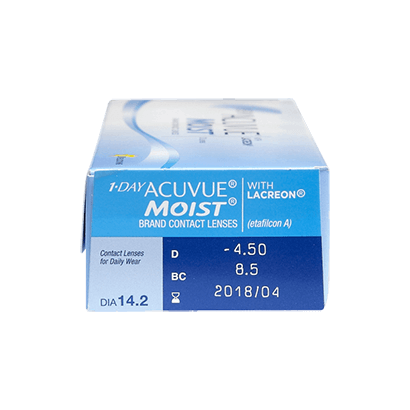 Excellent lenses 1-Day Acuvue Moist are perfect for me, I've tried a lot of contacts over the years, but as an allergy sufferer these are the most comfortable during the spring/summer time - I usually forget I've even got them in! The only downside is they are a little more costly than some other dailies, but in my opinion worth the extra money for the added comfort. totally forgettable - the mark of a good lens I only use Acuvue lenses as they seem to be the only dailies available in my strength (-12). The moist ones are very comfortable, though I do find that my eyes can start to get tired towards the end of the day. They are worn every day all day. The normal acuvue lenses I found didn't wear quite as well through the day, so I do think it's worth the extra. 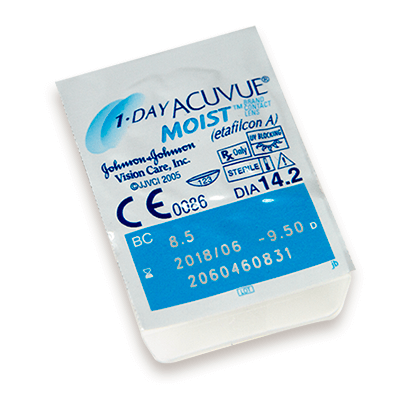 1-Day Acuvue Moist are bestselling daily disposable contact lenses from leading manufacturer Johnson & Johnson. With new and exclusive LACREON technology, Acuvue Moist keep your eyes comfortable and your vision clear all day, locking moisture into the lens that soothes and relieves dry eye discomfort. Convenient to use and easy to wear, Acuvue Moist also provide a high level of UV protection, blocking more than 80% of harmful UV-A and over 95% of UV-B radiation from reaching your retina. 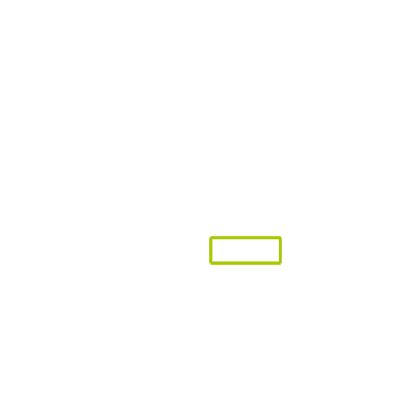 A handy '123' inside-out indicator and visibility tint let you know if you're wearing your lenses correctly. If you're looking for a daily disposable contact lens to free you from the hassle of using solutions and lens cases, Acuvue Moist is a great choice. Allergy sufferers and those who have experienced dry eye discomfort when wearing contact lenses in the past will particularly enjoy wearing Acuvue Moist, which is specially formulated to address these issues.